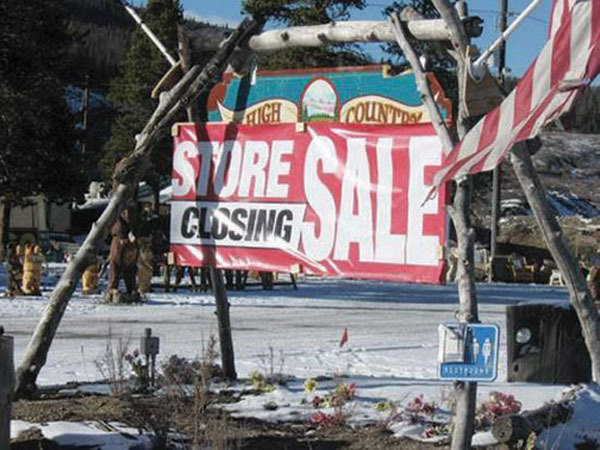 With everything from residences to warehouses to restaurants proposed for the northern McCain property – the last large parcel of unplanned land on Breckenridge’s valley floor – the town is asking the community to provide input on a plan for the future development of the area. Officials are hosting a public meeting at 6 p.m. Tuesday at town hall to give locals an opportunity to offer suggestions and comments on possible uses of the property, widely acknowledged to be a significant aspect of Breckenridge’s entrance corridor. The meeting comes after the property became a topic of community debate when news came to light that a developer was interested in constructing a gas station on the property. Town officials want to preserve part of the 126-acre plot for various public uses, including a solar garden, overflow parking, a reservoir and open space along the Blue River corridor. But commercial, or service commercial development, including contractor or building trades, equipment rental businesses, auto repair shops, warehouses, retail stores, restaurants, coffee shops, office space, gas stations banks or entertainment facilities are proposed for two northern sections of the property. The same space could also be designated for residential use or open space. Town leaders vary in their visions for the property, with some seeing it as an opportunity to retain useful services and businesses in the northern part of Breckenridge that might otherwise locate in other parts of the county, and others advocating the space be left undeveloped as a scenic view corridor on the route into Breck along Highway 9. Officials said there was interest from an applicant, but they have not entered into negotiations for a gas station on the property. Breckenridge purchased the McCain property – a rectangular strip of land that runs adjacent to Highway 9 on the north end of town – from a private owner in 2000. One third of the parcel’s approximately $1 million price tag was covered with open space funds, as the town intended to preserve the portion of the property along the Blue River corridor.